Our BAU (LtoR: A.J. 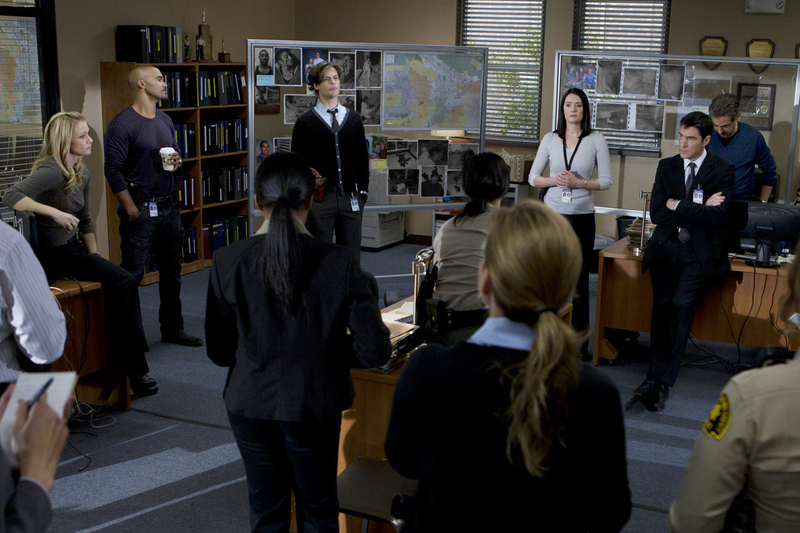 Cook, Shemar Moore, Matthew Gray Gubler, Paget Brewster, Thomas Gibson, and Joe Mantegna) team is in the process of briefing a local California police department on the occurrence of several home invasions and murders in the inland empire, on CRIMINAL MINDS. Photo: Cliff Lipson/CBS ©2012 CBS Broadcasting Inc. All Rights Reserved.